Democratic Party chairman Susilo Bambang Yudhoyono will not participate in any campaign events ahead of the 2019 general election as he has decided to stand by his wife Kristiani Herrawati -- better known as Ani Yudhoyono -- who is being treated for blood cancer in Singapore. The former president broke the news on Wednesday that Ani had been receiving intensive medical care at the National University Hospital in Singapore since Feb. 2 for a yet undetermined type of blood cancer. “He couldn’t participate in scheduled campaign events in Central and East Java,” Golkar Party politician and former Industry Minister MS Hidayat said after visiting the Yudhoyonos in Singapore on Sunday as quoted by Antara. 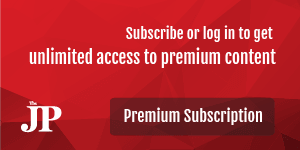 The Democratic Party is part of the coalition that supports presidential candidate Prabowo Subianto and running mate Sandiaga Uno. Hidayat added that Yudhoyono had assigned his eldest son Agus Harimurti Yudhoyono to replace the former president’s role in election-related activities. 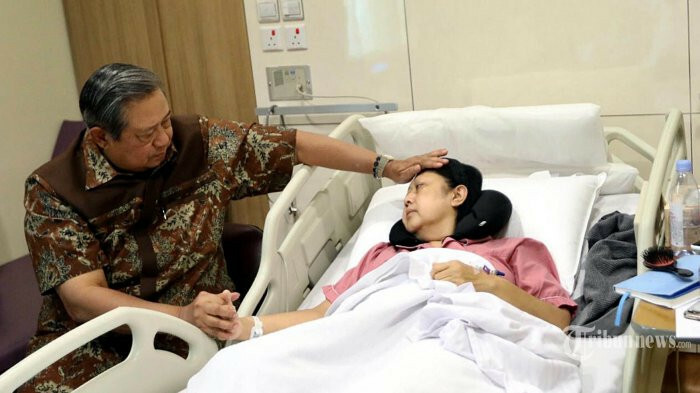 In a recorded statement made public on Wednesday, Yudhoyono said he would remain at his wife’s side until her health improved.